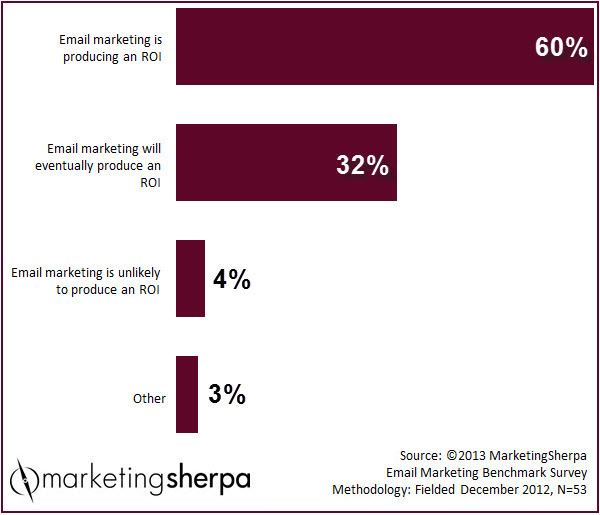 Marketing Research Chart: Does email produce an ROI? SUMMARY: Gamification. Big data. Social local mobile marketing. As we kick off 2014, be ready for more hype about marketing tactics. While everyone who writes about the marketing industry gets giddy about what could be, in this week's chart, we wanted to focus on what already is. Let's take a look at the tried-and-true tactic of email marketing. Is it producing an ROI? "Email marketing, even as basic as we did it in 2012, outperformed all other forms of online marketing combined for us. We are investing much more in email. It works better than PPC, better than online display ads, and provides a channel for content marketing." Q: Which statement best describes your organization's perception of email marketing's ROI (return on investment) at budget time? Why is email marketing producing an ROI for so many? 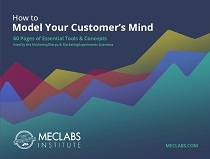 As one marketer responded, "ROI on email marketing is easier to measure/test/optimize. Social media is time-consuming and ROI is difficult to measure." Another marketer responded more broadly, "Email helps us stay top of mind with customers and prospects." Not all marketers have already documented an ROI for email marketing, but many who haven't yet do have faith that they will. One marketer's goal was to "develop a more consistent email marketing schedule with interesting content, which delivers a measurable positive ROI." A slim minority of marketers did not see email marketing as a beneficial investment. Why not? Perhaps it was because they did a more thorough job of calculating the actual cost. As one marketing manager said, "Email marketing produces a financial ROI if you ignore the time cost of the staff involved." Many of these marketers might be looking at ROI more holistically, and are therefore uncomfortable measuring ROI for a specific tactic, like the marketer who responded, "Email is part of an overall lead generation program, not a sole producer of ROI." Marketing Research Chart: What is the estimated ROI from email marketing programs for your organization?